Miami has always been a hub for Latin American travelers. And now that Latin destinations from Punta Del Este and Trancoso to Tulum are on everybody’s travel hit list, demand for the glam fashions of those destinations is at an all-time high. Enter Boho Hunter, set in the heart of Miami’s Design District and close to both Wynwood’s art scene and Downtown’s destination museums. An all-in-one source for the best in Latin American fashion design owned by a quartet of Latin expats (from Mexico, Peru, and Venezuela), the airy, white-walled space fits in nicely with Wynwood’s nearby galleries and features a similarly “curated” POV. Boho Hunter’s owners are committed to both discovering and touting Latin up-and-comers; we carry mostly handmade, contemporary jewelry, leather goods, clothing, and textile pieces from across the Americas. Stylish buys include new takes on traditional Panama hats from Ecuador’s Allpa Hats; chic terry lined kimonos; light-as-air cover-ups by Peruvian Brand Balkanica and cult status swimwear from Colombia’s Suki Cohen. 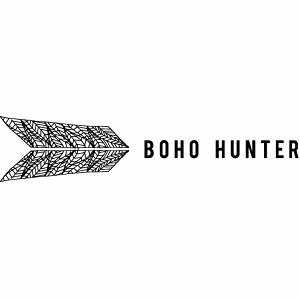 Boho Hunter has now 4 stores in South Florida, 2 of which are licensed: Wynwood, Eden Roc, South Miami and Tampa. A 5th location (license) will open in Spain Q1 2019.